A collection of healthy recipes to get the new year started off right! Oh my goodness, Christmas was a whirlwind around here. Little Dude loves celebrations of any sort. He is a sucker for a party, just like me. He loves to make sure things are festive, decorated and of course that there is candy on the table for pretty much any gathering. So it is not surprising that he was really excited about Christmas. In fact, I am sure those of you that are regulars around here know he has been talking about it since September, if not before! Luckily it is mostly in an excited way, not in a get me all the things way. Though, there was definitely some of that too. He definitely got plenty of things. In fact it is going to take some real ingenuity to get it all put away. But when you have enough machinery to run a small scale construction site, what can you expect?! Of course there was plenty of food and family as well. We enjoyed Nana's famous lasagna on Friday. We went to my sister's on Saturday and had a homegrown ham that my parents and brother butchered, brined and smoked themselves. It was really good! Then Sunday it was prime rib and my grandparents. I brought my creamed spinach macaroni and cheese and it was a hit! Of course there were cookies, presents and festivities everywhere we went. On Christmas we don't go anywhere. We wake up and see if Santa came. He did and he was very generous this year! Little Dude was so excited about a truck he has been wanting for over a year that he was almost speechless. After we do presents with just us three, we open our doors for the rest of the morning and early afternoon. I set out a brunch spread and Little Dude's grandparents and aunts and uncles are all welcome to come if they are free. We all play toys, eat plenty of food and enjoy a leisurely morning. When they filter out, we enjoy a quiet evening reflecting on all of the festivities and enjoying each other a little more before we get back into the grind. I am sure one of these days it will quit looking like Christmas exploded all over the living room and things will get back to normal. But first we have New Years to think about and one of the most popular resolutions is eating healthier. Of course after all of the Christmas feasts, I am sure a few of us could use some lighter meals so that our waste-bands don't fight back too hard. So the girls from Celebrate365 and I thought it would be fun to get some healthy eats inspiration. If you are a blogger, please drop links to your favorite healthier fare below. Then be sure to visit a few other links to get inspired yourself. You never know where you might find your new favorite! 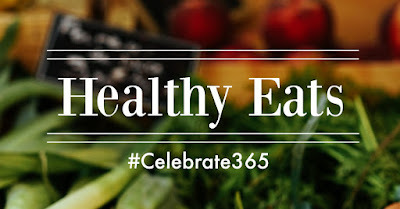 Do you make a New Year's resolution to eat healthier? What are your other resolutions? And what are your favorite healthy recipes? Sharing a link gives us permission to use a photo along with a link to the post in future promotion, both on our blogs and on social media. Thanks for joining Tip Garden, Corn Beans Pigs and Kids and I in this party! Great idea! I usually stop following my healthy eating resolution after a month or two, but will definitely need these recipes while it lasts, lol. Happy New Year! I need to try harder myself! We might as well take advantage while we can! It sounds like you had such a wonderful time!! 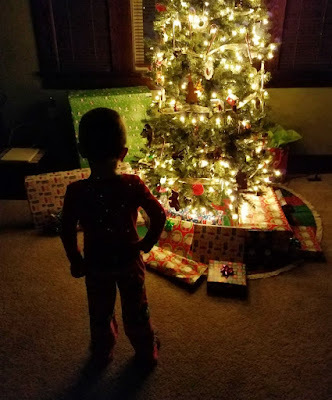 I am lucky this year to be with my grandchildren and it's so magical (and so hectic!!) And I have gained about 10 pounds (added to my already extra pounds) so I have to get healthier! I want to be around to see them grow up, right, and have the energy to keep up with them!! Happy New Years, Carlee!! It is so much fun putting the couple extra pounds on, if only it were easier to take it off! Though all of these recipes do look good too and those grandkids are a good incentive! Excited for these recipes! I really need some new healthy breakfast recipes for the new year!